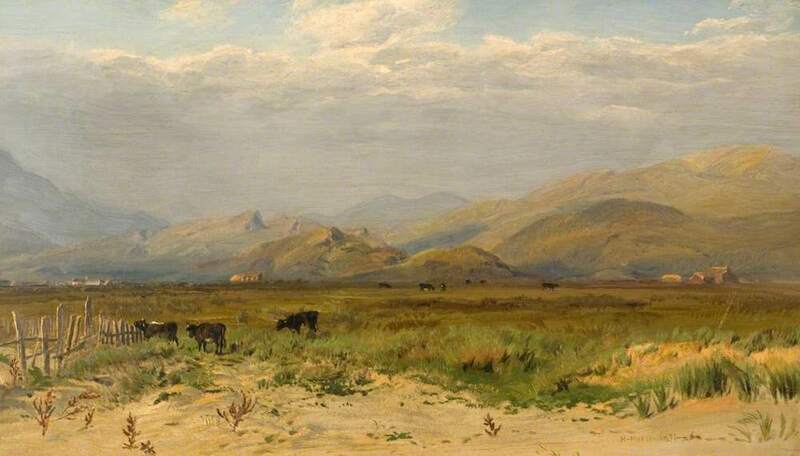 Near Harlech, by Henry Moore (1831-1895). 1871-76. Oil on canvas. 36 X 66 cm. Accession no. DUNUC ARTS: 91. Collection: University of Dundee Fine Art Collections. Gift of James Nicoll, 1951. Kindly released on the CC BY-NC-ND (Creative Commons Attribution-NonCommercial-NoDerivatives licence), so that it can be reused and attributed, unmodified in any way, for non-commercial purposes. Click on the image to enlarge it. Dodgson, C., revised by Mark Pottle. "Moore, Henry (1831–1895), marine painter." Oxford Dictionary of National Biography. Online ed. Web. 28 July 2018.